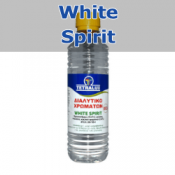 Mexyl special solvent for cleaning tools Sintecno 3kg.Special solvent for cleaning tools ..
Mexyl special solvent for cleaning tools Sintecno 13kg.Special solvent for cleaning tools and equipm..
Tecnopav PL500 special thiner Sintecno 3kg.Apply the first layer of TECNOPAV PL 500 diluted 15% with..
Tetralux Nitro 809 paint solvent 0,75ltSolvent of general use suitable for all types of one pack per..
Tetralux Nitro 809 paint solvent 20ltSolvent of general use suitable for all types of one pack perfo..
Tetralux Nitro 809 paint solvent 5ltSolvent of general use suitable for all types of one pack perfom..
Tetralux Solvent 806 for general use 0.75ltSolvent for general use. 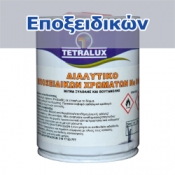 Ideal for diluting alkyd paints,..
Tetralux Solvent 806 for general use 20ltSolvent for general use. 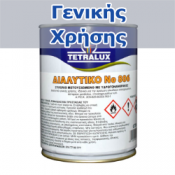 Ideal for diluting alkyd paints, m..
Tetralux Solvent 806 for general use 5ltSolvent for general use. 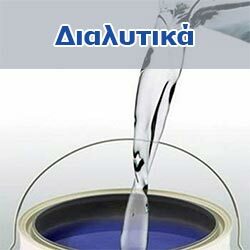 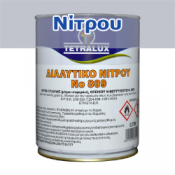 Ideal for diluting alkyd paints, me..
Tetralux Solvent 809 epoxy 0.75ltSolvent for epoxy systems.Density	:	0,87 – 0,88 (ΕΛΟΤ ΕΝ ISO 2811 2..
Tetralux White Spirit 803 paint solvent 0.4lt.Solvent for enamel paint, ideal for diluting alkyd pai..
Tetralux White Spirit 803 paint solvent 0.75lt.Solvent for enamel paint, ideal for diluting alkyd pa..
Tetralux White Spirit 803 paint solvent 20lt.Solvent for enamel paint, ideal for diluting alkyd pain..
Tetralux White Spirit 803 paint solvent 4lt.Solvent for enamel paint, ideal for diluting alkyd paint..